Bill Gates and Melinda French Love Story – COME MAKE IN INDIA.SELL ANYWHERE AROUND THE WORLD. Indeed. Six-and-a-half years later, Melinda Ann had advanced through the company, from software marketing tyro to general manager of information products such as Expedia and Encarta; more significantly, she had advanced to a senior role in the heart of the chief executive, Bill Gates, soon to become the world’s richest man. 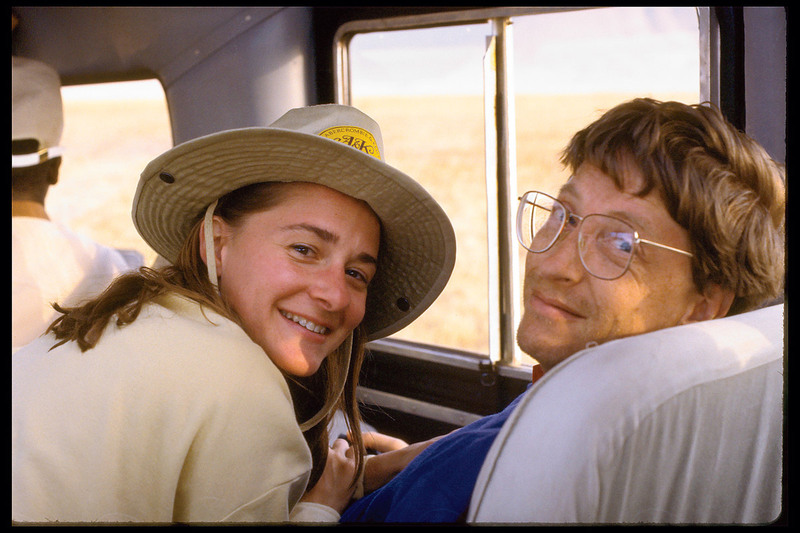 Bill Gates first asked Melinda Gates (then Melinda French) out for the first time, she was less than impressed – at first. After seven years of dating, they married on Jan. 1, 1994. They first met in 1987, when Melinda was a newly hired product manager at Microsoft. Several months later, Bill called her to ask her out on a date. “He said, ‘You know, I was thinking maybe we could go out two weeks from [tonight],’ ” Gates, 50, tells AOL’s MAKERS, a global digital platform that features the stories of female trailblazers, including one on Melinda Gates, in honor of Women’s History Month. Today, she is one half of the world’s top charity foundation, with personal jurisdiction over the spending of $80bn (£40bn). Clever, raven-haired, strong-featured and tough as nails, she brings equal amounts of compassion, common sense and business nous to the small matter of alleviating world sickness and poverty. Born in 1964, she grew up in Dallas, Texas, the daughter of Ray French, an engineer and house-rentals agent. At school, Melinda was earnest, driven and goal-orientated. Her introduction to the cyber-world came at 14, when her father brought home an Apple II, one of the first consumer computers available. She was soon playing computer games, and learning the Basic programming language. It has always amused Bill Gates that his wife is better educated than him – he is America’s most famous college drop-out. They met in 1987, four months into her job at Microsoft, when they sat next to each other at an Expo trade-fair dinner in New York. “He was funnier than I expected him to be,” she reported, neutrally. Months went by before, meeting her in the Microsoft car park, he asked her out – in two weeks’ time. She said, “ask me nearer the time.” He had to explain to her the ceaseless daily flood of meetings.